To play this event, you cannot command a headquarters mission. 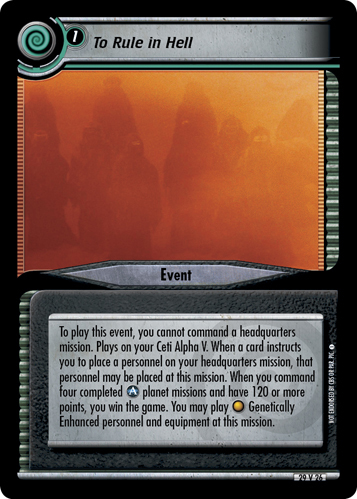 Plays on your Ceti Alpha V. When a card instructs you to place a personnel on your headquarters mission, that personnel may be placed at this mission. 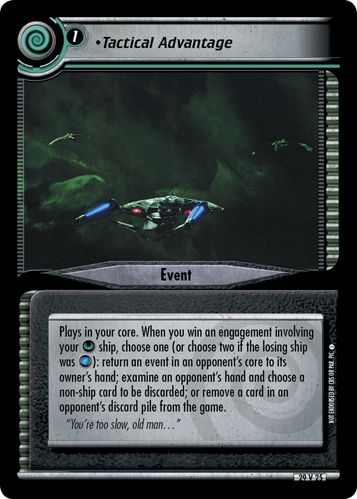 When you command four completed planet missions and have 120 or more points, you win the game. You may play Genetically Enhanced personnel and equipment at this mission.